Having happy couples is our number one priority. 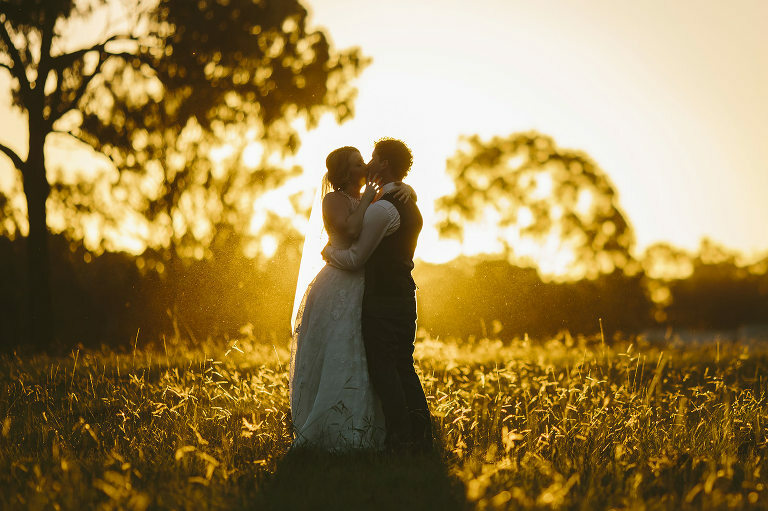 Kim is just an email or phone call away to ensure everything is all organised and communicated properly, and Adam works really hard on the day itself to create beautiful memories for you. We want all our couples to be singing our praises because they love their photos and because we are so easy to work with. Both Ben & I cannot express how thankful we are to have had Adam as our Photographer on our wedding day. He honestly went above and beyond, from tying the groomsmens ties, pinning on their flowers before the ceremony, to keeping me calm when the florist was running hours late. I have not seen any photos yet but already will be recommending Adam to everyone i know and i think in the years to come he will have many of my friends weddings to photograph. Thank you both so so much. We just want to send a big thank you to you both for not only dropping off the photos but also for getting them done so soon. It was a great surprise to come home to. Adam you did fantastic on the family photo with the kids to get everyone looking at the camera and smiling. We are really happy with the shots you took and as you said on the day, the light was just great. Adam and Kim are fantastic to work with. Adam was such a nice guy that we would have wanted to invite him to our wedding even if he wasn't the photographer! He captured every detail, even the ones we forgot to mention, was so organised, calm and funny. Adam is a creative, and driven photographer who is dedicated to his trade and has a unique talent for composition, lighting and editing. We would highly recommend him to anyone. Adam and Kim are awesome to work with. From our very first conversation we were so happy with their service, their personal approach and their understanding of what we were hoping for. On the day, Adam was just like another member of the family - his style is really natural and unobtrusive, and the moments he captured were incredible. I have worked with a huge number of professional photographers and studios, and Adam and Kim are by far one of the most impressive and professional organisations. We're so grateful for their work, and highly recommend! Josh and I would like to start by saying a huge thank you for everything you did for us. The photos are all stunning, they perfectly tell the story of the entire day with all the nerves, laughs and happy tears. Adam was quite the ninja capturing those bits and pieces, like the close up of my mum and dad's hands during our ceremony, that we would have otherwise missed. I am truly thankful that we chose you as our photographer, working as a graphic designer with photographers every day I'm quite particular about these things and Adam has truly exceeded my expectations. The hardest part for us is choosing our favourites as they are all superb! The little box and handwritten card were a lovely touch, the photos inside are a beautiful memento for our families and something we can be proud to hang on the walls of our home and show our children in the years to come. Thank you again, I will absolutely be recommending you to any other people I know who are looking for a photographer and hopefully we have the occasion to meet again one day. We just came back from our honeymoon and had a great time. What a treat to come back to these stunning photos. We are so happy with them Adam captured our wedding perfectly we could not be more happy, cant wait to share them all with our family and friends. I would love to try get them into some wedding blogs/mags when i get the chance, they are just too good not to share. How exciting!! Absolutely love the photos, so many great moments captured by Adam! It was nice to relive it again through the pics. Now I'm having wedding withdrawals!! Thank you so much for the beautiful photos. They are amazing. We love them, and so does everyone we've shown them to. You've done a wonderful job and we're so grateful. I've refrained from writing this entirely in capslock because I am SOOOO excited!! Thank you so much for the amazing photos. They are just incredible. We looked through the entire collection and it made us laugh, cry and remember what an amazing day we had. Adam you are a truly gifted photographer. You captured every amazing moment we had that day and we can re live it any time we like. We are so grateful. We have just been through the photos and absolutely LOVE them. Thank Adam so much for us and we will definitely leave a comment. Thanks to you both! They are just stunning. We are over the moon. Adam captured the day perfectly, and it was such a joy dealing with you both!!! I'd give 6 stars if I could! Adam was brilliant, and our photos are stunning. He went above and beyond, and the results really show. I just wanted to say a very big thank you for the prompt delivery of the photos. We just loved them!!! Adam is such a lovely man and we really enjoyed him being a part of our day. Kim you have been very helpful throughout the whole process; answering all my many questions and getting back to me quicky. Thank you so both so much!! I will have no hesitation in recommending you highly. I would like to say a huge Thank you for everything leading up to the wedding and the wedding day itself. Adam is such a great guy and very accommodating. Please pass the message onto him on my behalf. My family and friends have found him delightful and professional. Thank you so much for sending the photos much earlier than expected. Daniel and I have both viewed the photos. There were soooooo many beautiful photos!!! I need to decide on which one to enlarge to put up the wall. Thank you so much for getting our pictures to us so quickly, we have looked at them so much in the last month. Second, we cannot tell you how much we LOVE them! they are truly a wonderful, wonderful gift to us. You were able to capture not only stunning pictures but the many intimate and special moments of the day. Everyone we have showed them to comments on the manner in which you have portrayed what our special day felt like not just the events that occurred. The first time I looked at them I was able to remember and re-live just how I felt a lots of different points and that was such an unexpected and lovely experience. We are more then ecstatic with our photos and were so happy you captured our wedding. Adam's photo's were absolutely stunning- what an incredibly talented photographer, and very professional. Back into the real world today (first day back at work).. You just made it soo much better. The photos are AMAZING!! I cannot thank you enough... Adam was amazing! I've had a quick sneeky look whilst still at work. Can't wait to get home and look properly. THANKYOU!!! So excited, thank you thank you thank you! Thank you for all the work you did in producing such beautiful photos of our special day! We absolutely love them! We will be looking at them for years to come - they will provide us with such lovely memories. Just returned from honeymoon yesterday and received the photos.....GORGEOUS work Adam and thank you so much. It was so lovely to have you as part of our day and your work is beautiful. The Cavanagh Photographers are truly wonderful. I meet them on the morning of the wedding. I booked them based on reviews and a gut feeling. They didn't disappoint. Made us all feel at ease and become true guests rather then just my photographers. Thank you sooooooooooo so so so so much for these absolutely beautiful pictures, we love them! Again, thank you to you all for your stunning work. Just writing to say a big thankyou for the wedding photos. They are excellent! We are very happy with them. Photos that we are excited to share with our friends and families. Thankyou for all your efforts on the day Adam, and for staying as late as you did. You were very professional and easy going which we really appreciated. I received the package, OMG the photos are amazing! Thank you so so much, we are both so happy with them! The photography you guys did for our wedding was absolutely beautiful & you were both so lovely and professional on the day so a massive thanks to you for a job really well done!! We both had the most amazing day & you captured the essence of our wedding perfectly. Obviously you hear this many times but we are so happy with our photo's and it wouldn't have been possible without The Cavanagh's creative eye, sleek style and genuine all-round niceness! So thank you so much. I checked my email more times then I ever have before haha! I've already recommended you to several other of my friends who are taking the 'leap.' So we'll see how they go, but I'm sure later on down the track when babies arrive or we feel the need to ruin her wedding dress we'll be giving you a call. I just wanted to let you know that we have received the photos and they are simply breathtaking. We couldn't be happier. They are all absolutely amazing and captured the day perfectly. My only complaint is that I now have over 700 favourite photos with too little wall space in our home to hang them all!! Thank you from the bottom of our hearts for your professionalism, your relaxed attitude and for giving us the most beautiful lasting memories of our perfect day. We had a great time in Sydney. Also, we are very happy about the photos. I keep looking at them again and again…still don't get tired of them. They are so beautiful. Please send our regards to Adam. Thank you so much for our amazing wedding photos! We are so thrilled with how they turned out & we already have so many fond memories of the day! Thanks for everything & for being so relaxed & easy to be around on the day! Thank you both so much for the most amazing wedding pictures. You captured the most amazing moments all day long. I never want to stop looking at these pictures. You two were just so easy to be around all day. Thanks for everything. We chose Kim and Adam to do our wedding photography after getting their recommendation from another photographer. They flew from Sydney to our wedding in Bali and it was great having Adam and Kim work as a team. They worked extremely hard and took photos from early in the morning until late at night. The photos are fantastic and were everything we'd hoped they would be. 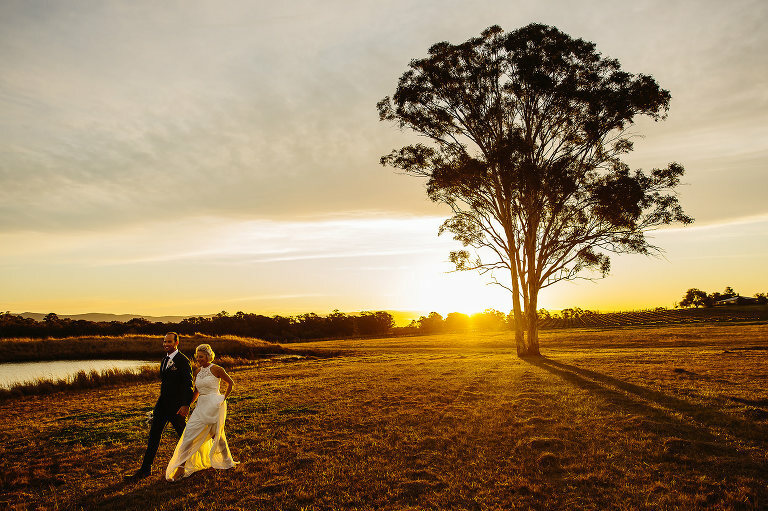 We would highly recommend Adam and Kim from Cavanagh Photography to anyone looking for a wedding photographer. They are really beautiful. Vincent and I love every single picture!! Now we have a hard time deciding which one to print for the wedding reception! We love MOK063, it's so artistic! Vincent said it looks like an award winning photo! Thank you so much. We, along with our families, absolutely loved them. You and Adam really captured the essence of our wedding - colorful, exuberant and festive! We couldn't have been happier with our choice to have you guys capture our special day(s). We are recommending you to all of our engaged friends! We received our photos and of course we absolutely love them. So do all our friends and family. Thank you again for capturing our special day in the most amazing way. Now i have the tough decision of choosing the ones i like the best to put up in the house. Thanks for the photos! They all look so great! I love them all!! What can I say I am just blown away! The photos are better than I could ever have imagined! From the first meeting I knew without doubt that I would receive exceptional service. Adam and Kim you carry out your work with such a high level of professionalism whilst ensuring the day ran smoothly. I was confident that I could trust you with the process and it made my day so much better knowing that my memories of the day were in the best hands. I was a pleasure for Daniel and I to share our wedding day with you and now we have these perfect photos to top it off! I can't speak highly enough. Many thanks! Thank you for being a part of our special day! We hope that although you were working, you enjoyed yourselves. Thank you for taking so many amazing photos - it has been hard to choose favorites as there are so many we love! Thank you so much for doing such a fabulous job capturing our wedding day! You didn't miss an important moment or a funny face pulled. We love your style and attention to detail. We still can't stop looking at them all and are still discovering new favorites! We continually receive compliments for your work. We are so happy to have chosen you as our photographers. Thank you for making it so easy for us on the day. We wish you all the best with the rest of your career. We have no doubt you will continue to make brides and grooms' dreams come true. THANK YOU!! We just wanted to say a huge thank you for our incredible wedding photos, you captured every moment and we are just in love with every single photo! Thank you so much for making us both feel so comfortable and for being an absolute pleasure to work with!! We received the photos yesterday and we are so excited!!! They are beautiful!!! Thank you so much for capturing our day and bringing it back to life for us. I can't wait to get home to look at them again and to show them to our family and friends. Thank you thank you, thank you!!!! You made our dream become a reality. Our photos are absolutely amazing and I never tire at looking at them (I probably still will be in fifty years time). Now begins the mammoth task of sorting out which ones are going in to our wedding album. Thanks again, we will be recommending you to anyone we know who gets engaged! A belated thank you for the beautiful images of our wedding! There are some amazing shots - the hardest part is going to pick with ones to put up in our apartment! All our friends and relatives (and us!) have been very impressed with your work. Thank you so much for being a part of our wedding day and for capturing it so beautifully. Thank you Kim and Adam for a wonderful day! You were totally awesome and made taking pictures not painful at all. Hendy and I and the bridal party really enjoyed ourselves and had lots of fun. We just received our photos last night!! Thank you so much - we just love them. They are exactly what I was after. Thanks so much to you and Adam, you guys were just great and we loved having you as part of the day. I’m so sorry this is so long overdue but I just wanted to thank you both for the amazing images that you sent through (and so beautifully presented as well!). I received them last week when we got home from our honeymoon and it was so lovely to come back to! Every photo is absolutely stunning, you really did SUCH an amazing job and everyone that has seen them have been going gaga saying that they are the nicest wedding photos that they’ve ever seen – there have even been some tears from family and friends looking at them! 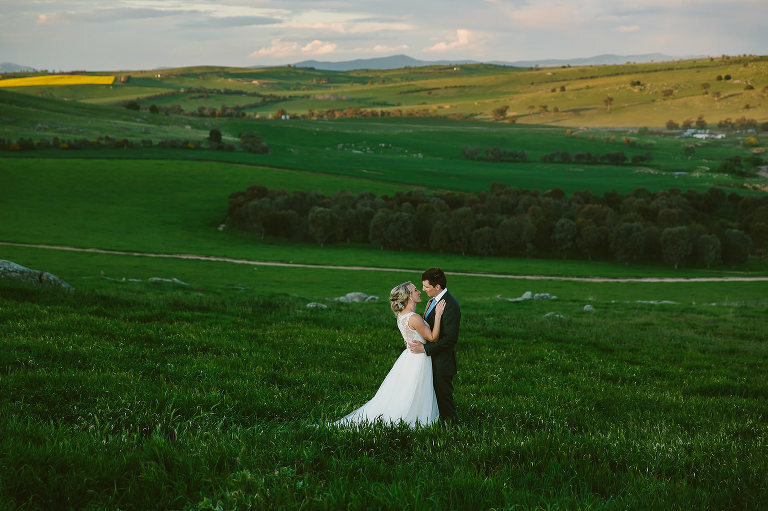 I’ve recommended you to all of my friends and family and of course to my suppliers as well – Wade and I are so over the moon with everything that you have done for us! I will send a more formal thanks once we’ve settled back in but I just wanted you to know that we hadn’t forgotten about you and we are so thankful and appreciative for all of the time and effort that you put into capturing our special day. We would love to order our album from you when we’ve got a bit more time and money on our hands. We really can’t thank you enough, you are so talented and such beautiful people! We're so happy with our photos!! It's so great to see them and re-live what really was the most wonderful day for us. Thank you so much for all your work on the day - it was a long day. In all we had a really great day and we're stoked that you were both such great people to share it with and that we have such fantastic photos to remind us. I will definitely recommend you guys to anyone I know that is in need of a 5 star photographer in the Wollongong area and I sure hope we have helped open some doors for some weddings down in the 'Gong' In the future. What can we say AMAZING. STUNNING. Everything we wanted and more. Your photography made our dreams come true by capturing our special day in your stunningly, unique, beautiful and dramatic style. We just wanted to say a huge thank you for being our photographer on our special day! For answering all our questions in the lead up, your laid back & fun personalities & of course your amazing shots of the day which we LOVE!! We will cherish all the memories you have helped capture. Have we told you lately how much we love you?? The photos arrived on Thursday and we haven't done much other than look at them ever since, we cannot thank you enough, you did a superb job at capturing our happy & emotional day!! The day wouldn't have been the same without you, we felt so comfortable with you guys, you really added to the overall "AWESOMENESS" of the day! Not that I have been married before but I am pretty sure you are the best in the business, I'd almost go as far as to say if future brides and grooms don't choose you to photo their big day they must be INSANE!! Thank you so much for the truly amazing job you both did in photographing our wedding. We have had so many people telling us they were the best photos they have ever seen. You made us feel so relaxing and captured the day perfectly whilst keeping our personalities true to ourselves. We can't thank you enough! Just wanted to send a small note to let you know how grateful we are for the gorgeous wedding photos you took. You both made everything so easy for us and were very patient - esp with us wanting to run back to the reception. The photos were more beautiful than we could have imagined. We have had so many compliments from family and friends. We will be recommending you to everyone we see! Thank you again SO much for our beautiful wedding photos, we absolutely love them and look at them all the time :) Whenever people ask we tell them the best money we spent on the wedding was on those fabulous photos! Our family and friends keep telling us how amazing the photos are - the best wedding photos they've ever seen- and how lovely and professional you both were on the day. 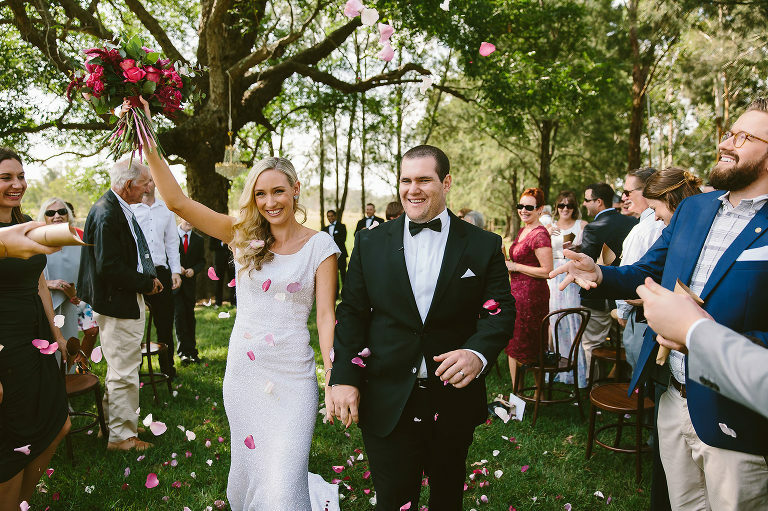 We heard our friend (and MC at our wedding) John, booked you for he and Maryann's wedding in March in Bowral - so we're looking forward to getting to see you both again there! We LOVE them! I really really really really really x 1000000 love them!! Can you pass on to Adam that I really really love them. You guys both did a great job and it just reminded me of why we chose you! I can't wait to show more people. My sister and mum also thought they were great. I'm so glad, considering the conditions and we didn't get to do too many shots on the outside. THANKS AGAIN and hope we hear from you guys again! All I can say is a MASSIVE thank you! We knew right from the moment that we found your website that your work was amazing but to see the pictures of our own special day... We are speechless, you guys have completely blown us away!! Thank you so much for being so easy going, and making our day cruisy with no pressure! The photos were wonderful! Truly beyond what i expected. Our family & friends have all said they are youthful, warm and romantic and not boring to look at- exactly the vibe i was going for. Really appreciate it, the case was a lovely touch. Thanks again on such a great job! You guys were such a pleasure to deal with, we’ve been hearing lots of horror stories about other people’s wedding photographers lately, and we get to smugly say that we only had wonderful things to say about you both. Thank YOU for making us feel so comfortable during the shoot, it was amazing that we felt so relaxed and had such a great time given we hadn’t gotten any of the big stuff over yet! We are totally inexperienced in front of the camera and you and Adam really helped us get over our apprehension and have so much fun. We really are very excited about seeing the finished product. Thanks again so much Kim, we absolutely LOVE the photos. We could not be happier with them. We just received our wedding photo package! Thank you both so much, the photos are great! And the presentation box is so elegant. You have given us a quality product. You have captured some beautiful shots, brimming with the day’s ambiance and emotion. All together, they tell a wonderful story of our wedding. Once again, thank you for shooting our wedding. We are both very happy with the results. And we won’t hesitate to recommend you! THESE ARE ABSOLUTELY STUNNING, AMAZING AND SUPERLATIVE. Jay and I have just had a look at these and words can not describe how grateful we are for making our day so special and keeping these memories of your masterpieces in our hearts forever and now on screen / digitally forever. We can not wait to see the rest of your art. You asre truly gifted at what you do and we are indebted to you both!!!! We had a wonderful honeymoon and are ready for our next chapters to be written. WOW ..... In a world with so much mediocrity in business... You guys delivered in truckloads. You both worked so hard for us on the day and did an absolute outstanding job. We are amazed with the photos and so impressed with your great service. The photos are brilliant. We are so thankful to you both for making our special day that little bit more AWESOME! We love the photos, they are so amazing! Give our thanks and a huge hug to Adam. Last night Paul and received our photos and wow! They are more than we dreamed of and are just spectacular so a huge thank you to you both for all your hard work and amazing talent! After our wedding people were raving about how friendly and unobtrusive you both were and how impressed they were with the ideas and sense of ease you gave everyone. Then when everyone saw those first photos that you put on your blog they were blown away - as we were! You both definitely exceeded our expectations and words don't really seem adequate to thank you for giving us such amazing permanent reminders from our wedding.